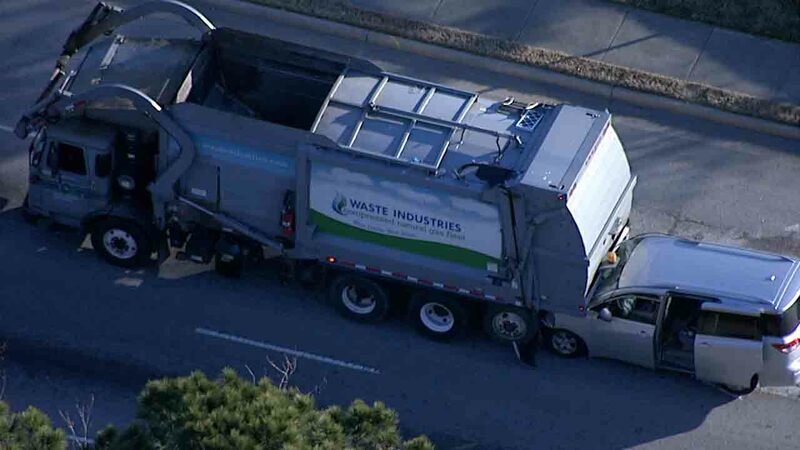 RALEIGH (WTVD) -- One person is in the hospital after a van rammed into the back of a garbage truck Thursday morning. Raleigh police said the incident happened before 8 a.m. near the intersection of Skycrest Drive and New Hope Road. Officers have yet to release details on how the crash occurred; however, they said one person was taken to WakeMed with minor injuries. Drivers in that area should expect delays.